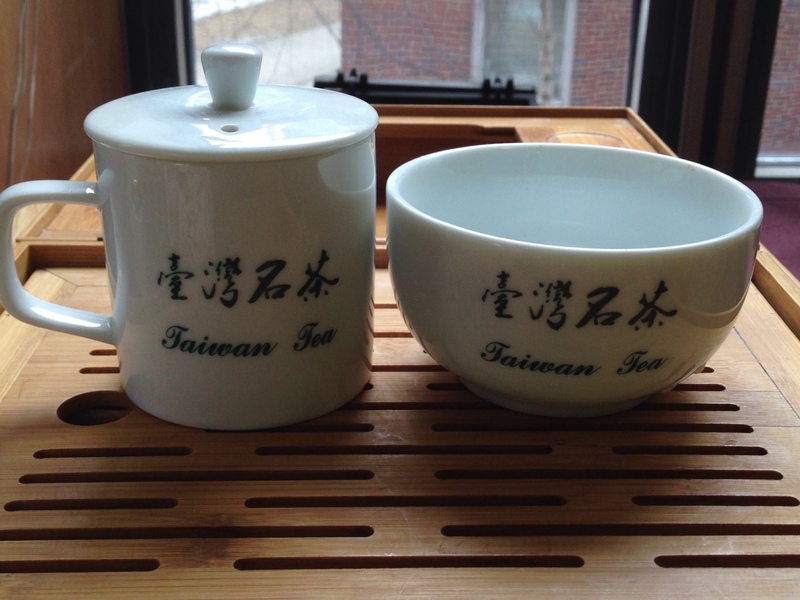 For my debut into the online tea snob world, I chose the Medium Roast TieGuanYin from Mountain Tea. Mountain Tea specializes in Taiwanese oolong teas, but they sell a few green and puerh teas from other countries as well. This particular tea is very popular in the online tea community, and won 1st Place in the Traditional TieGuanYin Category of the 2012 North American Tea Championship. In case you aren’t as obsessed with tea as I am, I can describe the tea a bit. TieGuanYin, also called 铁观音 or 鐵觀音, is a variety of oolong tea from Anxi in Fujian Province, China. The name translates roughly to “Iron Goddess of Mercy,” but you will sometimes see it sold as “Iron Buddha” as well. 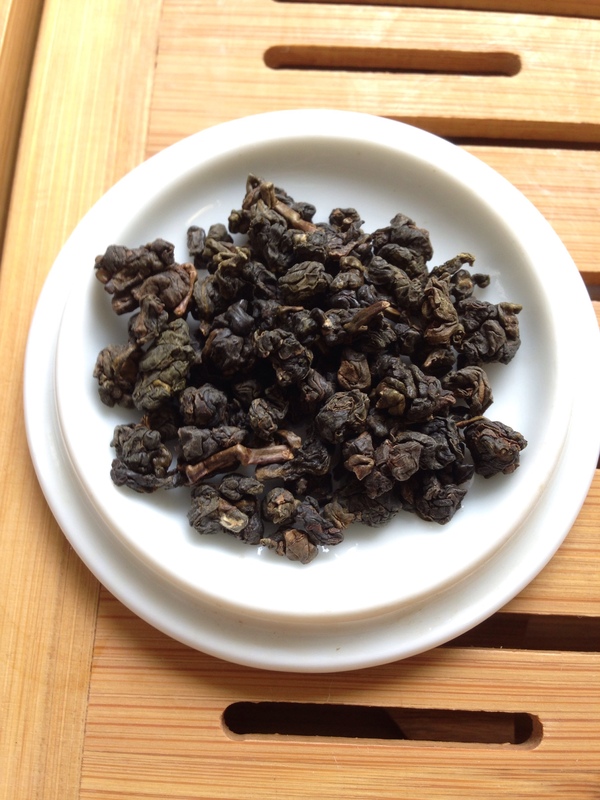 The dry leaf has the appearance of a typical rolled style oolong. The leaves seem to be high quality. The leaves have a very notable roasted aroma, which is quite pleasant. They smell very sweet and caramelized. But overall, the smell is not too intense. I brewed five grams of the leaves in my new tea tasting set. I bought this set at the Beipu Farmers’ Market in Beipu Township, which is in Hsinchu County in northern Taiwan. I’m pretty happy with it, although I had to carry it in my backpack for a week. I’m pretty surprised that this tasting set managed to make it home undamaged. This tea is very interesting and complex. The first taste that hits my palate is the notable roasted taste. I suppose since the tea is called “medium roast,” I expected the roasted taste to be a bit more subtle. But it is certainly very enjoyable either way. With that said, this tea does still have a slight bit of the bite that is typical of greener oolongs. As a result of this roasting process, the tea’s head note has a very caramelized flavor, with a noticeable honey sweetness. The tea is very nutty tasting, as roasted oolongs tend to be. Surprisingly, I also picked up on a toasted bread-like taste in this body notes of this tea, which many other reviewers online have noted. 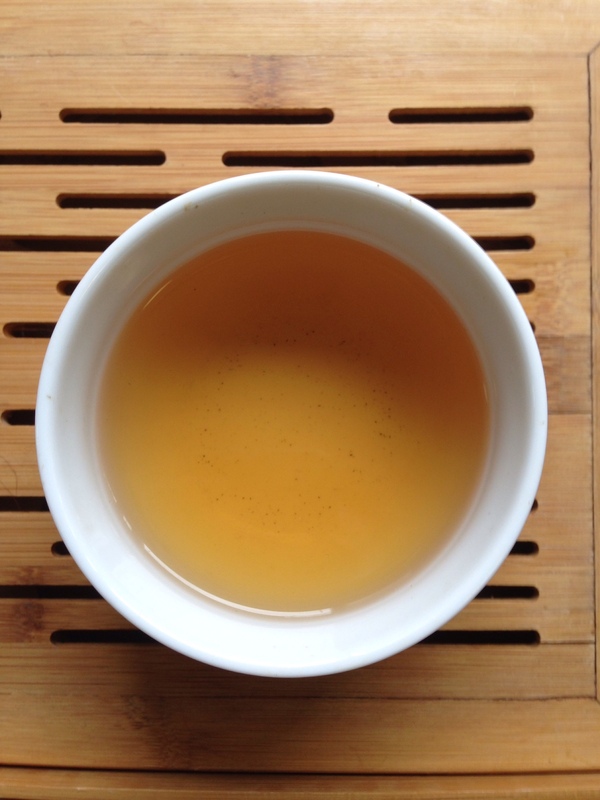 The aftertaste is very fruity, similar to the lingering apricot or peach notes that are common to some oolongs. However, this fruity flavor is a bit more like a dried fruit taste, perhaps a raisin note? As I progressed through some repeated steepings, I was a bit disappointed that this tea did not keep its flavor so well. The roasted flavor of this tea became rather flat by the third and fourth steep. However, the fruitiness is more pronounced in the later steeps. The tightly rolled leaves unfurled nicely. 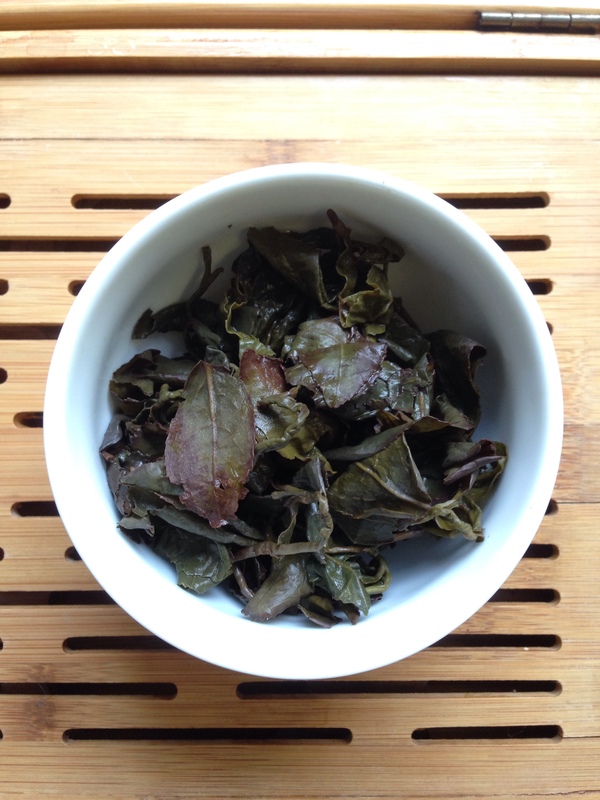 A few of the leaves are a bit choppy and bruised looking, which is generally not a great sign in rolled oolongs. However, this tea still appears to be high quality. All in all, this tea is quite solid. If you tend to enjoy more roasted tasting oolongs, you will probably enjoy this. I wouldn’t say that this is the absolute best TieGuanYin oolong I’ve had, but it is certainly one of the best TieGuanYin oolongs I have had for the price. At only $9 for 2 ounces, or $18 for 5 ounces, this tea is pretty affordable. I probably wouldn’t go out of my way to buy this tea again, but I will certainly enjoy the rest of the bag and I would recommend it to others.